A scientific paper published by a team of Australian researchers has revealed a startling find: Scientists at the Permanent Service for Mean Sea Level (PSMSL) have been “adjusting” historical data regarding tide levels in the Indian Ocean. Their “highly questionable” activities have depicted rapidly rising seas — but the truth is that there is no reason to be alarmed at all. Scientists have found that sea levels are stable — and have been for the entirety of the 20th century. To put it simply, these PSMSL “scientists” have been arbitrarily changing their data in order to create the illusion of a problem that doesn’t actually exist. According to the Australian research team, sea levels in the Indian ocean have remained stable for decades. Dr. Albert Parker and Dr. Clifford Ollier recently published their astounding research in the journal Earth Systems and Environment; their extensive research gives an in-depth look at how this massive deception was undertaken. As the researchers report, there are multiple lines of evidence that show sea levels in the Indian Ocean are completely stable. Further, the scientific duo explains that the data-adjusters at PSMSL were taking “misaligned or incomplete” sea level data (which showed no rise in sea levels, or even decreasing sea levels) and “realigning” them. As Parker and Ollier contend, “It is always highly questionable to shift data collected in the far past without any proven new supporting material.” But what makes the PSMSL’s data shifts even more questionable is the fact that older datasets were adjusted to look lower while all newer sets of sea level data were re-configured to appear higher. When these arbitrary adjustments are taken together, it creates the appearance of a significant and concerning rise in sea levels — one that is entirely artificial. The sea levels in India, including Mumbai, and in Karachi, Pakistan, have been recently analysed and discussed in Parker and Ollier (2015) and in Parker (2016). In both cases, it was shown that the latest positive trends in the PSMSL RLR [revised local reference, adjusted] data are only the result of arbitrary alignments, and alternative and more legitimate alignments reveal very stable sea-level conditions. What are more dangerous are the corrections recently introduced to the past to magnify the sea-level trend or the acceleration. As shown in the prior section, the adjustments introduced by PSMSL to make the RLR [revised local reference, or adjusted data] are arbitrary in Aden, Karachi, and Mumbai. In one instance, Parker and Ollier referenced a 1991 study which showed that sea levels in Mumbai were falling by an average of 0.3 millimeters per year between the years of 1930 and 1980. The duo states that in PSMSL’s latest report, they declare that sea levels in Mumbai were rising by 0.52 millimeters per year during the same time period. In other words, PSMSL completely changed data collected decades ago to show an increase in sea levels, rather than the decrease that was actually reported at the time. To sum it up, Ollier and Parker have found there is no reason to believe that sea levels are rising — and that PSMSL has been wantonly adjusting sea level data to create the appearance of a problem that doesn’t actually exist. The pair of scientists also state in their paper that all key data collection points have shown a sea level rise of 0.0 millimeters for at least the last 50 years — which is an indicator of stability in ocean levels. A recent report by NASA even showed that sea levels are actually taking a downward turn for the last few years — findings that lie in stark contrast to PSMSL’s alarmist report on sea level data. 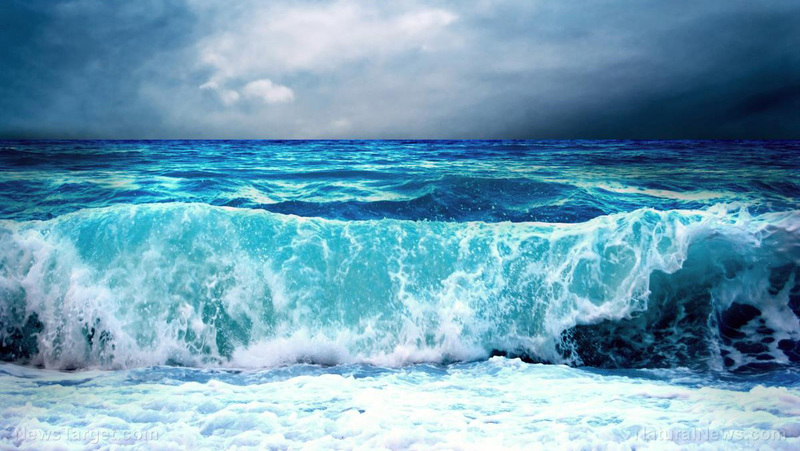 There has been much controversy and fanfare over the alleged threat of rising sea levels, but it seems that much of this excitement is based on fiction rather than reality. Ultimately, Parker and Ollier concluded that sea levels are, and have been, quite stable during the past century. Previous PostSatan’s Reprobate Army with David CarricoNext PostWhoops! “False flag maga attack” That Didn’t Work!